Aren't we supposed to be peacemakers? During the Balkan war of the early ’90s, I traveled twice to Bosnia and Croatia. I visited middle-class women whose husbands and sons had been brutally killed. I visited a refugee center filled with people who had lost everything and were at the mercy of any country that would take them in. I visited school children suffering from post-traumatic stress after seeing their parents killed by enemy shells that landed in their homes. 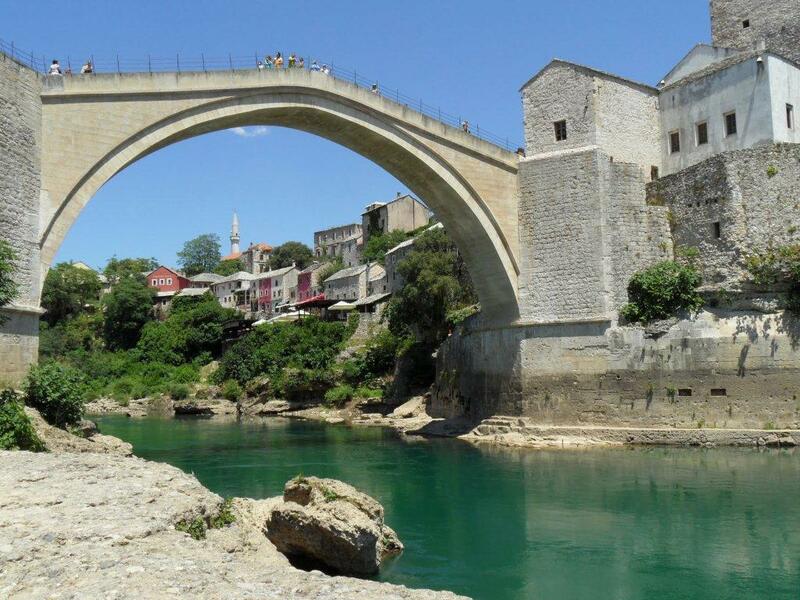 I walked through the rubble of Mostar, where the Friendship Bridge—a massive stone structure named in honor of the many ethnic groups that had crossed it for four centuries—had been bombed and destroyed. In city after city, I saw the destruction of architecture, art, museums—a violent erasure of the cultures that had thrived there. It was the first time I had seen war up close, and I was shocked by what human beings do to each other. While I traveled in the Balkans, another war was waged in Rwanda by Hutus against Tutsis—what we now refer to as the Rwandan genocide. Since 2009 I’ve traveled twice to the Democratic Republic of Congo, where the ethnic battles forged in Rwanda crossed borders and continue to this day. As usual in war, civilians pay the highest price. Subsistence farmers in small villages want only to live in peace, tend their crops, and feed their families. Instead, their crops are burned, wives and daughters are raped, and many become slave labor in Congolese mines that provide minerals for our cell phones and wealth for the violent criminals who control the mines. Click here for the rest of the commentary. Courtesy of www.sojourners.com. Lynne Hybels, co-founder of Willow Creek Community Church in Illinois, is author of Nice Girls Don’t Change the World. The views and opinions expressed in this commentary are those of the author and do not necessarily reflect the official policy or position of the Florida Conference of The United Methodist Church.